Near the Town of Cat Spring, a pioneer German settlement founded in 1832 by members of the Amsler, Kleberg and Von Roeder families, sets the Cat Spring Agricultural Hall. 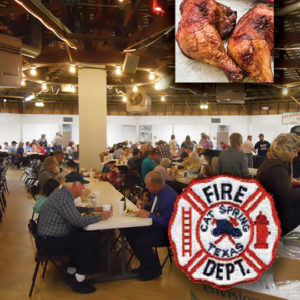 The Cat Spring Landwirth Schaftlide Verein (Agricultural Society), Texas’ oldest agricultural society, was founded on June 7, 1856 by 40 charter members for the purpose of agricultural education. Members of the society built this pavilion in 1902 to provide the prospering German community with a permanent dance and meeting hall. The twelve-sided structure is one of several polygonal social halls in this area designed by renowned local architect & builder Joachim Hintz. The structure stands on property purchased in 1888 from F. Peters. The clapboard pavilion, which sits on thirty-six exterior foundations, has a shingled, hipped roof of twelve sides, terminating in a twelve-sided flat-roofed cupola. The original 4-over-4 windows located in the hall as well as in the cupola, have been replaced by wood shutters or metal louvers. Double doors flanked on either side by a window were in two of the twelve bays. At one time, a sixteen-foot flagpole and gingerbread balustrade adorned the cupola, but these have been removed. In 1931, the central bandstand, located within the twelve wood columns which supported the cupola, was removed to a northwest side location and a single central concrete column which supported the twelve inverted cone radials replaced the original structural system. In the 1950’s, ten of the twelve original bays were extended to provide bar, kitchen, stage, bathrooms, storerooms and seating areas. 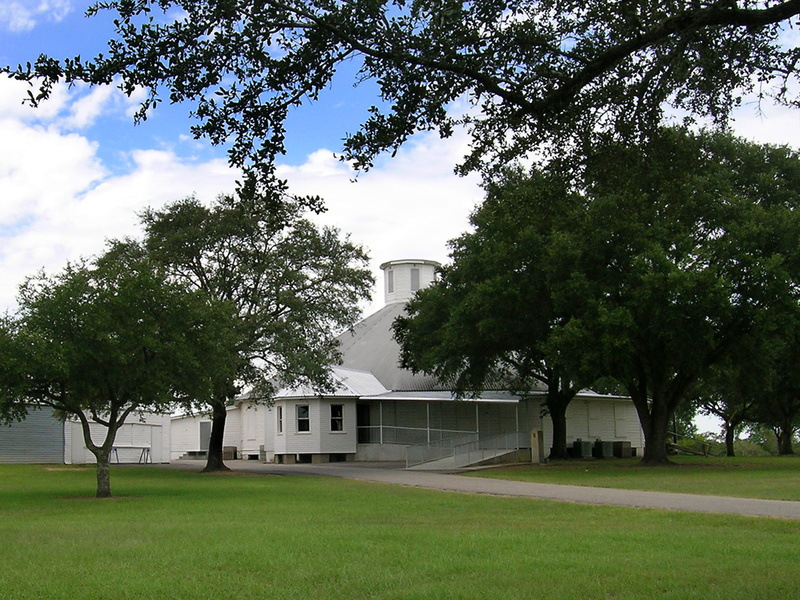 Architecturally distinguished by its structural form and great size, the Cat Spring Agriculture Pavilion continues to serve the oldest agricultural society in Texas.